The QLED TV in your home. Time to set up. So, you’ve decided to bring a new QLED TV into your home. You head to the store, pick out the right size for your room, and bring it home. It’s out of the box and ready to go, and you can’t believe how good it looks. In fact, you realize it would look good anywhere you put it. While admiring its four-side bezel-less front, your eyes wander to the back that’s smooth and sleek—until the part that’s been cut out specially for the No-Gap Wall Mount. We designed the back panel so that the mount connects inside the back panel rather than to its exterior, allowing the TV to sit as close against the wall as possible for a seamless look in your home. Plus, it’s super easy to install. You’ll be finished quickly so you can get on your favorite show in no time at all. Turn on the TV to see the real world, in HDR. The most important thing to consider when deciding between QLED, Plasma, LCD and LED LCD is your viewing environment. QLED TVs can express 100% color volume. Thanks to the New Metal Quantum dot, which is uniform in shape and expresses color in a fine and dense manner that makes color realistic and keeps details clear. Its easy on the eyes while still being really detailed. What’s at work there is the bright HDR technology. 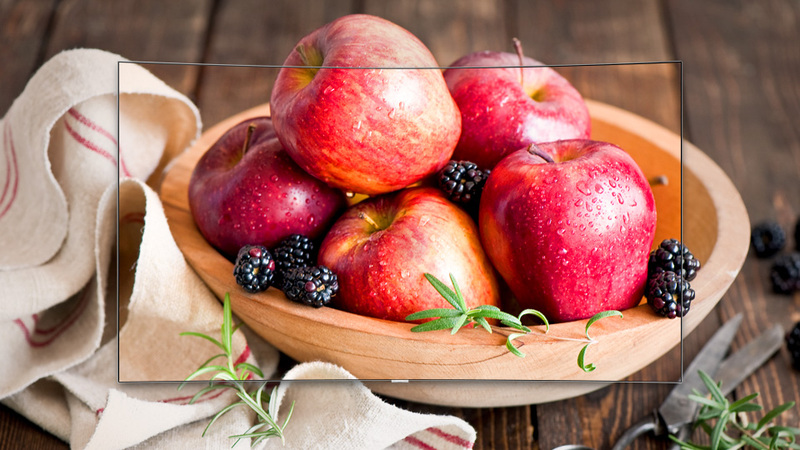 HDR stands for High-Dynamic Range, and in QLED TVs it can express HDR1500–2000, which mimics the brightness of 1500–2000 candles and is really close to what occurs naturally. You’ve connected all your devices and now have all you need at a press of the One Remote Control. When it comes time to plug in your devices you realize there are no ports in the TV. Invisible Connection allows you to tuck your devices away for an elegant, minimalistic visual wherever you put your TV. Every device that’s plugged in is connected to the TV via the Invisible Connection and automatically detected, meaning no more playing detective to find out what’s plugged in where. You can also download the Smart View app onto your phone to easily control your QLED TV in between text messages. You can even use it as a game controller for cloud games. 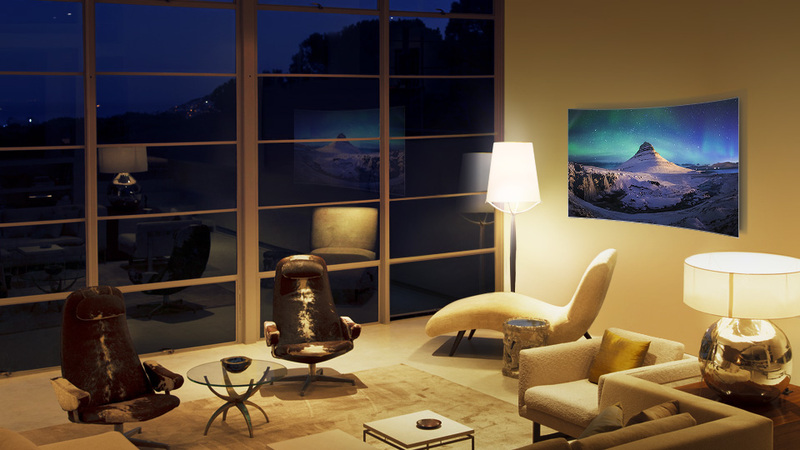 The sun has set, the lights are turned on, and the QLED TV still has the same great picture quality. There’s Precision Black, which uses dimming technology to ensure the optimal contrast on-screen. Ultra Black’s reflectivity improvement works together with Precision Black technology that automatically adjusts the brightness of every scene. Now that you’re comfortable with the newest addition to your home, it’s time to introduce it to everybody. So you invite your friends over for a day full of TV fun. 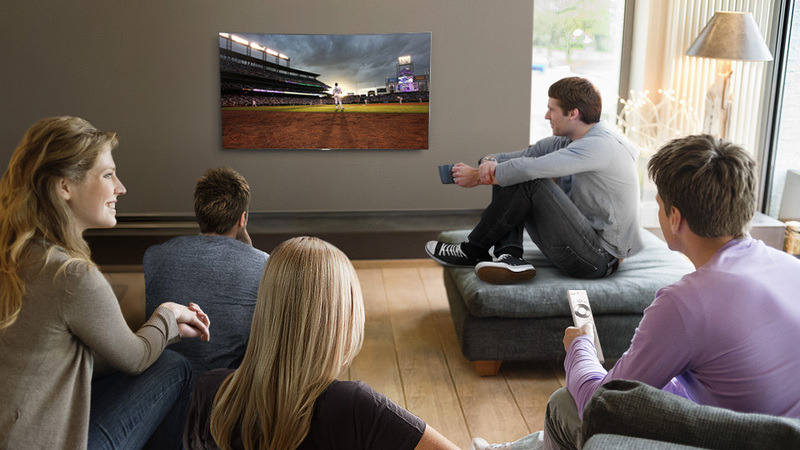 The Smart Hub has plenty of content no matter what your crew wants to do: stream a movie, play a game, watch some baseball… There’s something for everyone. Once you’ve settled on content, the battle for the best seat begins. Time out! 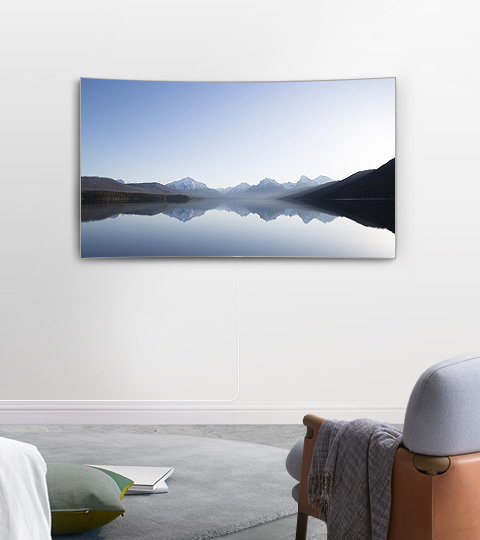 The QLED TV is full of technology that works together to prevent distortion to the onscreen picture so that whether you’re sitting on the couch, the chair, or if you’re moving around while cleaning up after your friend who just spilled popcorn everywhere, you see the same great picture with stunning colors and impressive clarity. 1HDR levels may vary by TV model. 2Connectivity to the TV may vary by device. 3The Smart View TV remote app may not be compatible with all mobile devices. 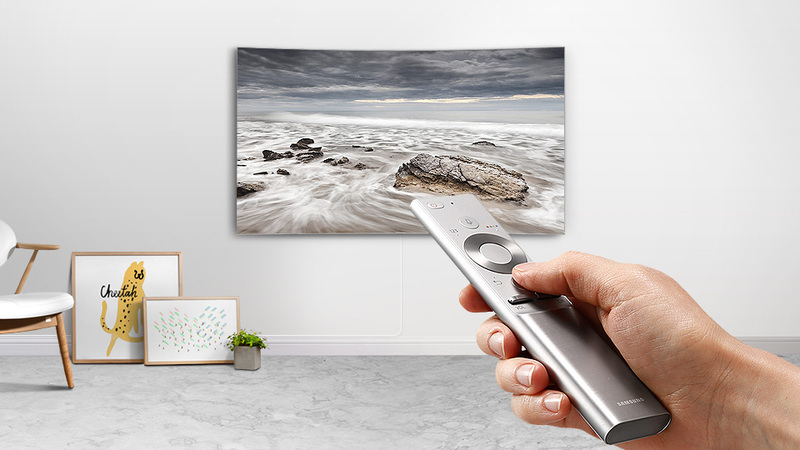 The Smart View TV remote app may be subject to updates and changes.